There my website sat, beautifully designed, all shiny and new, but it was alone. For weeks I had no visitors, and when I did a search for it on the web, it showed on the thirtieth page. So when I asked my friend if they had any clue as to why that was, they asked if my website was built with SEO in mind. All I did was shrug and ask him what SEO was;t urns out it meantSearch Engine Optimization. SEO is the process of building a website with proper keywords in such a way that will allow a search engine to raise the visibility of your website through the engine’s natural algorithm. Optimizing a web page or entire website raises its prominence on a search engine, which will help give it a higher ranking. A higher ranking means you have more visitors, more visitors mean more potential customers, and more customers mean more sales, downloads, leads generated, exposure, what have you. You can hire someone to handle the SEO of your website, but if you’re like me, you would probably rather do it yourself or get enough of an understanding before just hiring somone. So here is a rundown of four free tools that I use, and that anyone interested in handling, checking and maintaining the SEO of their own website(s), should also be using. Now this is a very valuable tool; the software has many different useful functions and is a jack of all trades. It has a keyword research ability which allows you to put in the keywords your website is based upon, then it will search and return various different types of keywords that you can use to have your website relate to. Market Samurai also has another great tool called SEOCompetition, which will do a search for websites that compete with yours, and will give you info on their websites. This information can be helpful in raising your website above theirs in search engines, or just seeing how it compares in keyword richness. In addition, the software also contains a domain tool which can help you find a great keyword rich domain name. You can also find products to promote on your website and publish content directly to your blog. And,Market Samurai allows you to keep track of your websites and their ranking on search engines. 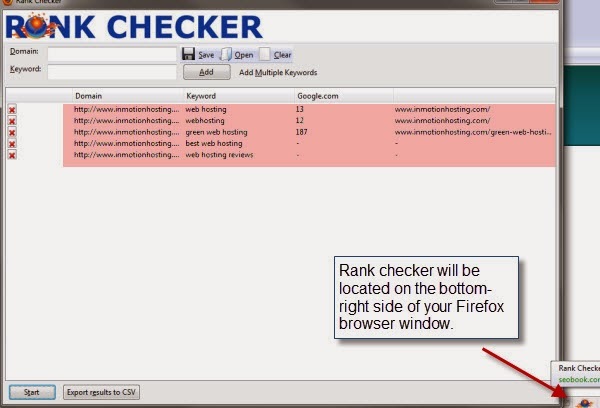 Rank checker is a simple browser tool which installs intoFirefox. This software checks your website rankings throughout all of Google, Yahoo Search and Microsoft’s Bing. You can put your website into the program, enter in a keyword relating to your website, and see where you rank in regards to that keyword throughout the various search engines. You can even set up a schedule when you want the program to check your website, allowing it to work while you’re away from the computer. Another great feature of Rank Checker is that you can do multiple keyword searches, and then export it to a spreadsheet file to keep records of your website or the competition’s. This will help you with keeping track of how your keywords rank over time. I’m sure you’ve had other toolbars installed on your web browser, but this is a useful toolbar, I promise. SEOmoz Toolbar installs into Firefox and Chrome which works as you browse. When you load up a website, the toolbar will provide you with information such as Page and Domain Authority. These determine ranking strength and linking strength right off the bat. SEOmoz also provides a simple uncluttered SERP overlay of website metrics when looking at them through a search engine page. The toolbar also has a wonderful feature called Analyze Page. When clicked on while viewing an actual website, a window will load and provide you with a plethora of useful SEO information. This information ranges from page ranking, to incoming and outgoing links, to the page source and keywords your website’s using. You can also export and save the data for your records. SEOQuake is another web browser toolbar that is helpful beyond measure. It provides different and useful overlay parameters for websites when searching through various search engines. You can find info such as page rank, which will show where the page ranks throughout the engine you are searching your page with. It also shows how many pages have been indexed. You can also view how many links there are on the Internet which point to a website. Not only does it provide those features, but SEOQuakealso provides a quick link to the Alexa Rank for the web page. This will take you to the Alexa page giving you a traffic estimation of your website. Other useful tools that this software provides is a WhoIs link, which will link to the record of the current domain giving info such as who owns it, where it’s located, and even the IP address of a website. It can also be used to check the current keyword density for a website. This is very helpful as you can make sure you have the proper percentage of keywords to fine tune your website for optimal search engine ranking. SEOQuake also can be expanded, allowing you to install different plugins. These plugins increase the functions of the program which allow you to see info ranging from how many times Digg has indexed it, to even how many times your website has been linked through Googleblogs. As appealing the design of a website is, it’s all useless if you don’t take care of the SEO workings under the hood. With the proper use of these tools, and all the helpful information you now have at your fingertips, your website should jump up in search engine rankings now. I hope you find these tools as useful as I have over the years.